Articles about solar energy that focus on its solid financial returns. 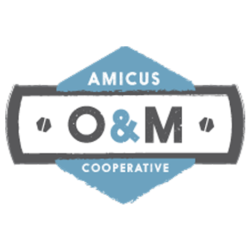 ReVision Energy is a member of Amicus Solar Cooperative, a cooperative of the finest independent solar companies across the United States. Each month Amicus members share experiences on various solar topics. For December, we asked Amicus members about solar financing options for business owners who want to invest in solar but might not want to pay all of the costs up-front. How are business owners financing their solar projects and what are the benefits? Financing is an important tool for businesses hoping to upgrade their facilities with a solar array. Often times the upfront costs of implementing solar can be a barrier to market entry, and even if the business has the requisite capital to invest, it may make more sense to reserve the capital for expenses related to core business operations. Despite the fact that the lease has been much promoted as the financing mechanism of choice, here at Sunsense we have been steering our clients towards loans because they offer significant advantages over the lease. However, with the low kWh electricity prices paid by commercial customers in Colorado, and the relatively short loan terms on offer, even with loans, the Return on Investment (ROI) on implementing a solar array is not always where we need it to be. So it is with much anticipation that the State of Colorado is launching a new program to make it easier to finance solar and energy efficiency measures on commercial buildings. The Commercial Property Assessed Clean Energy (C-PACE) program will allow property owners to spread project costs over a term of up to 20 years and repay costs through an assessment on their property tax bill, with no upfront capital investment. As the majority of projects are expected to generate a positive cash flow based on energy savings, mortgage lenders feel comfortable consenting to the additional lien on the property. Should the property owner decide to sell, the lien stays with the property and the new owner reaps the benefits of the energy saving measures on the building. Clearly Colorado’s C-PACE program is a valuable new financing tool that will spur investment in commercial solar projects, provide long term utility savings and stimulate the economy – a winning proposition for solar businesses and commercial property owners alike. LightWave Solar is getting the word out in our region that business owners can finance their solar projects and become cash flow positive in about 12-16 months or less. Here’s how it works: Business owners invest the amount equal to their 30% federal tax credit (i.e. 30% of total project cost), and obtain a loan for the balance. As soon as they capture their tax credit, they are in the green. For most of our customers, solar generation and accelerated depreciation will more than cover loan payments over the 10 year term. After 10 years, system owners will have paid off their loan, and they will keep generating solar revenue for at least 15 more years. LightWave Solar launched this model with BB&T, a regional bank with a good understanding of the value of solar generation. In the last 12 months, BB&T has helped nearly a dozen of our customers get solar loans. We have seen several local banks embrace this model as well. Last week we finished construction on a 24kW system for Janney & Associates, CPAs in Smithville, TN (an hour east of Nashville). Business owner Tom Janney became interested in solar after he saw how pleased a client was with their solar system’s performance and tax benefits. A few months later, after getting our newsletter, Tom decided it was time to see if solar would work well for his business. Luckily, Tom has an open, flat roof and no shade. He obtained a loan from BB&T for about 70% of the system cost. Next spring he will receive his 30% tax credit and first year accelerated depreciation which will cover his out of pocket outlay. In addition, he will receive a 25% USDA REAP grant which will help him pay off the loan even faster. His loan terms include no pre-pay penalties. “I had a very smooth experience working with BB&T,” Tom says. “In a couple of months, I will recoup my capital expense, and my business will have a new revenue stream for the next 25 years at least,” he says. The solar array at Janney & Associates, CPAs will be commissioned this month, and it will be the first solar system interconnected in Smithville. LightWave Solar looks forward to presenting our solar financing model to more businesses in this area. Traditionally, it has been difficult to find creative ways to finance a commercial solar installation, but there have been several advancements in the past few years that have enabled commercial property owners to install solar. The steep drop in pricing of solar over the past several years has brought affordable solar projects to the commercial sector. We have seen the installed prices of commercial solar in Texas drop 70% in the past seven years. Lower prices equate to quicker paybacks and less financing capital required for a project. With this cost reduction several traditional financing options have emerged. Banks and credit unions are now offering financing options specifically for solar projects. Several of our customers are able to secure solar loans with their local lender. A popular financing option in the Texas deregulated electricity markets is a Power Purchase Agreement (PPA). This allows a third-party developer to own, operate, and maintain a PV system, while the commercial client agrees to site the solar system and purchase the system’s electric output for a predetermined period. PPA’s enable the host customer to avoid many of the traditional barriers to solar adoption such as up-front capital costs, system performance risk, and complex design and permitting processes. In addition, PPA arrangements can be cash flow positive for the host customer from the day the system is commissioned. Texas has another, new and very exciting financing opportunity, a Property Assessed Clean Energy (PACE) loan. This is a third party loan for solar and energy efficiency upgrades that is paid back through a property tax assessment. This arrangement has several benefits for commercial property owners but primarily, the loan is structured to provide immediate positive cash flow and allow commercial tenants to both pay the loan and reap the operating expense savings. To learn more about the benefits of PACE, please visit http://buildnative.com/pace/. ReVision Energy has had the pleasure of working with local businesses to install solar since the early 2000s, such as at the Maple Hill Farm in Hallowell which sports a 15kw solar electric array and large solar thermal array, the largest such systems in the state at the time they were installed. Since then, we’ve seen increasing interest in solar for businesses as costs have continued to drop and business owners recognize the value of locking in a fixed electric rate and reducing their businesses’ carbon impact. Most recently, we worked with GrandyOats, an organic foods company provided certified organic and kosher foods including granolas, trail mix, roasted nuts, hot cereal and more. Their new facility will be Maine’s first 100% solar-powered net zero food production facility, encompassing all areas of the facility from cooking the food (electric ovens), heating (heat pumps), electric forklifts, computers, lighting, etc. Financing for the project was provided by Bangor Savings Bank, who saw the value in financing an asset that would effectively drop GrandyOats’s operating costs – their old facility cost $24,000 annually to operate (electricity, propane, and kerosene) and the new solar generation would cost them $3,000 per month to finance, with the ability to increase their production 3x beyond the capabilities of their old facility, and the added advantage of owning their system outright after 7 years. The bank also accepted the solar panels themselves as collateral, supporting GrandyOats’s ability to scale their business in a sustainable way with solar. Commercial and non-profit enterprises of all sorts are turning to a new financing option for energy efficiency, solar PV and other renewable energy projects. Property Assessed Clean Energy financing offers long-term, low-cost funding for a wide array of energy-related building improvements. Best of all? By design it is cash flow neutral, or even cash flow positive. Savings on utility bills are re-directed to pay off the loan, through a special line item on a property tax bill. 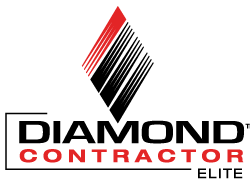 National legislation to develop PACE was signed into law during the Bush Administration and 31 states have now authorized this solution to the problem many building owners face when trying to finance energy work – longer payback periods than most traditional lenders can stomach. New York State joined the race to roll-out PACE, back in 2009. Six years later, the Energy Improvement Corporation, a non-profit public benefit organization, reports that 23 NYS counties, cities, towns and villages have passed the required local ordinance and are promoting commercial PACE through its Energize NY program. Another 20 or so cities and counties are in the discussion phase, including Albany, Buffalo, Rochester, Syracuse, Binghamton and Long Island and North Country locations. It might seem counter-intuitive that a capital investment in a large, long-term energy project would immediately generate cash flow but that’s the beauty of how PACE is structured. The Energize NY team works with contractors and building owners to put together a financing package based on documented energy savings and/or generation and the needs of the business. NYSERDA incentives, utility rebates, federal and state tax credits — all are leveraged in the plan. Sometime PACE can even make sense for a renewable energy Power Purchase Agreement, where equipment is leased rather than purchased. Taitem Engineering, in Tompkins County NY, is delighted to be on the forefront of the clean energy movement and helping to introduce PACE to clients, colleagues and project developers as an enabling financing tool. Energize NY, Tompkins County and the City of Ithaca will host a PACE launch event on Jan. 7 2015. For more local info contact: [email protected].